Gargano holiday? Here's where to eat! Holiday in Gargano? Porta di Basso and Al Trabucco in Peschici and the Antiche Sere in Lesina merge tradition and imagination like no other. The holidays Gargano always echo for its wonderful sea and unspoiled nature, among barren mountains and mountain spirit that dominate for thousands of years. Eating fish is common stuff, but among the restaurants in Peschici, the Porta di Basso of Domenico Cilenti emerges for the culinary resourcefulness and personality. Bizarre combinations but always linked to the Gargano area, such as mackerel marinated with salicornia and Apricena Ham. Then anchovies fried with butter and tomato jam and phantasmagoric first dishes. 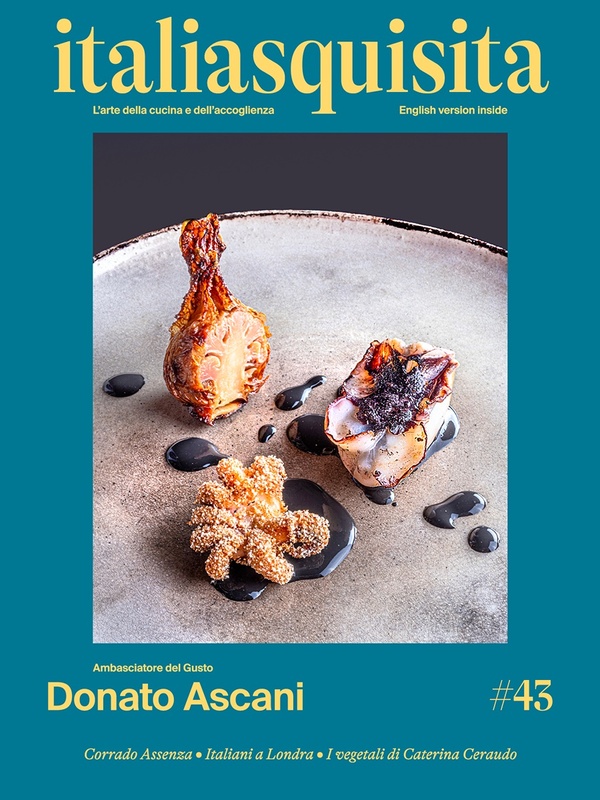 It is perhaps one of the most imaginative chefs in Puglia and it is well worth bite his creative morsels in his restaurant overlooking the sea. Exceptional view, with a very creative taste at Porta di Basso (www.portadibasso.it). Also in Peschici, the enterprising Mario Ottaviano from many years in the restaurant Al Trabucco. Peschici and its sea perfume directly on the rocks! Not only a breathtaking relaxing position, but also a taste with hints of experimentation rather intriguing: Bresaola of tuna, cuttlefish with wild mushrooms from the mountains of the area, raw Manfredonia oysters and Palamito fish with pink bubbles D'Araprì San Severo (www.darapri.it). Class, relaxation and local culture: Mario Ottaviano has succeeded in! Now he has created a wonderful place to sleep at a few miles, the farm Zia Nì (www.ziani.it). Finally taking the path of Abruzzo, exactly on Lake Lesina, the beautiful and nice couple Lucia Schiavone and Nazario Biscotti manage their own gourmet restaurant Le Antiche Sere in Lesina (www.leantichesere.it). The ricotta with herbs, citrus mullet, and pasta with basil, grilled eel and the chocolate cake are insuperable. A local cuisine but very elegant, delicate and sensual. To talk with Nazario Biscotti on the art of distilling the leaves of wild celery or cherry is priceless. Gargano holiday? The two restaurants of Peschici and the gourmet tavern on Lake Lesina.